We’ve all heard the expression “You get what you pay for.” The notion behind this concept is that if you want something of “better” quality, you have to pay more for it. This idea also suggests that anything you can obtain free of charge probably isn’t of equal value to something for which money was paid. Well, the old adage “you get what you pay for” might be true when it comes cars, clothes or even day-old cookies given away by your local grocer. But this concept is dead wrong when it comes to college pricing, especially college tuition. Some schools with pretty lousy results – like low graduation rates and high levels of student loan debt – nonetheless have expensive price tags. But even for prestigious colleges and universities with good reputations and results, — including many so-called “dream” schools — I question whether it’s worth it for students (and their parents) to wind up with $30,000 to $50,000 or more in college debt. For most borrowers, that debt will result in student loan repayments of 15 to 20 years or longer. Besides, if you’re comparing financial aid offers and different costs of attendance at various campuses, you shouldn’t focus on a school’s “sticker price” or published cost, but rather what your net price or out-of-pockets costs will be. And as it turns out, your net price can vary dramatically from one school to another or it may be identical even at two schools of vastly different quality. This suggests that college tuition alone bears little to no resemblance to the quality of education one receives. Despite an abundance of evidence to the contrary, plenty of parents think that if a school is super expensive, it must be a really good school. But that simply isn’t the case. One school could be more “expensive” for you, simply because your net costs are greater. But that doesn’t make the school any better. 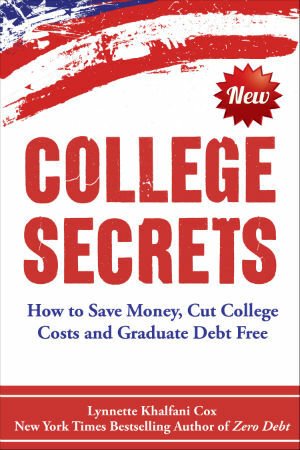 As I explain in my book College Secrets, there are more than 2,200 non-profit, four-year colleges in America, including many low-cost institutions that offer an excellent education. Likewise, there are some high-priced schools that do a poor job of graduating students on time and teaching young adults the fundamentals they’ll need to succeed. So don’t buy into the notion that expensive schools are always somehow “better” than cheaper options. When two college students pursue a similar degree at the exact same state school, yet one person is an in-state resident and the other individual is an out-of-state student, the out-of-state student typically winds up paying tuition that is two to three times higher than his in-state peer. In spite of the cost difference in tuition, both individuals received the identical quality of instruction. In the end, paying more money didn’t get the out-of-state student any better education. So it behooves you to truly understand that college costs do not equate with college quality. The fact is: colleges consistently raise prices in large part because they can. The demand is there for them to do so. 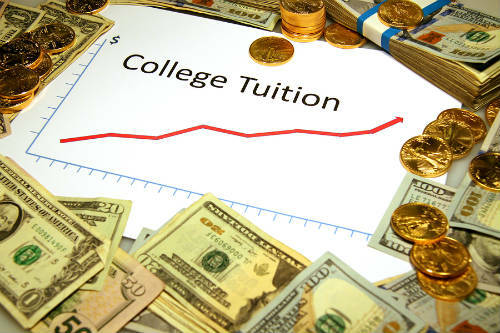 But once enough parents stop associating high cost with high quality, and once more competition continues to come to the educational arena, you’ll find college costs stabilizing and even decreasing. Knowing these facts, I have a hard question to ask of both parents and students reading. How many of you have adopted an unhealthy “whatever it takes” mentality when it comes to paying for college? Probably more of you than would care to admit it. But I’ve heard the stories from desperate parents who borrow from their retirement accounts, max out their credit cards, and do all sorts of other things to “afford” college costs. In fact, a Sallie Mae survey shows that about 60% of parents and students alike say they are “willing to stretch financially” for college. Among some parents, in our eagerness to send our sons and daughters to “the best schools that money can buy,” we’ve sacrificed in ways large and small. Most damaging, we’ve continued to unwisely borrow staggering sums of money for higher education, showing colleges and universities nationwide that they can hike their prices and that we’ll continue to bear the burden of those increases. Unfortunately, this “sacrifice at all costs” strategy backfires on us in multiple ways. First, we get stuck with higher college bills for four or more years. Additionally, we often get saddled with debt, especially student loans that either our children or we are forced to repay for a decade or more. And finally, we feed the college pricing frenzy by showing a willingness to pay more or borrow more. Put another way: what many parents don’t realize is that they’re inadvertently adding to the mania in college pricing. Believe it or not, some schools have been known to raise their prices simply to elevate their prominence in the eyes of ill-informed families. These institutions know that many parents mistakenly view price as a proxy for quality. It’s a sad and vicious cycle, and one that ensnares far too many unsuspecting families. As a related issue, please realize that just graduating from a prestigious school with a big sticker price and large tuition expenses won’t be your ticket to a great job. According to a survey conducted by Gallup and released by the Lumina Foundation, the vast majority of hiring managers really don’t care where a job candidate went to school. Corporate bosses were far more interested in a job applicant’s knowledge and experience when determining whom to hire. Unfortunately, most people get it wrong on this front too – mistakenly assuming that employers want to see a brand name institution on a person’s resume. In that Gallup survey, 80% of Americans polled said that school choice is either “very important” (30%) or “somewhat important” (50%) to hiring managers. Thank goodness that business leaders actually say just the opposite – and they’re the ones making the hiring decisions. All of this illustrates that you don’t need to pick a pricey school or a name-brand campus just because you think it will automatically make you a more attractive job applicant. In most cases, it won’t. So before you finalize the decision about where to go to school – or where to send your kid – remember that college choice is one of the most critical financial decisions you’ll ever make. It shouldn’t be a choice that puts you, or your children, in debt for decades to come.